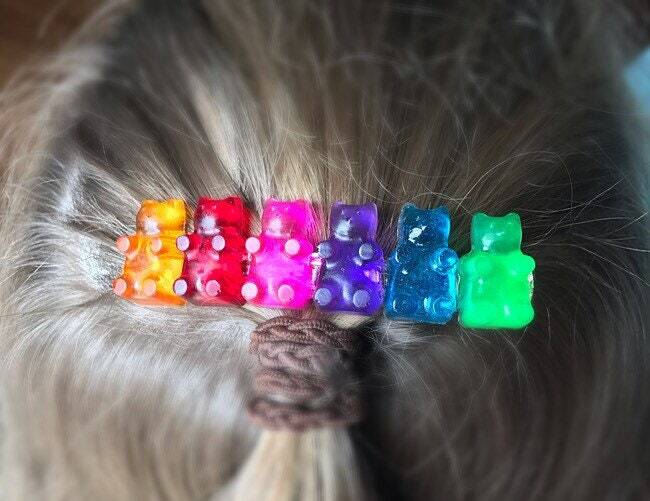 This super cute hair barrette is handmade using resin gummy bears. 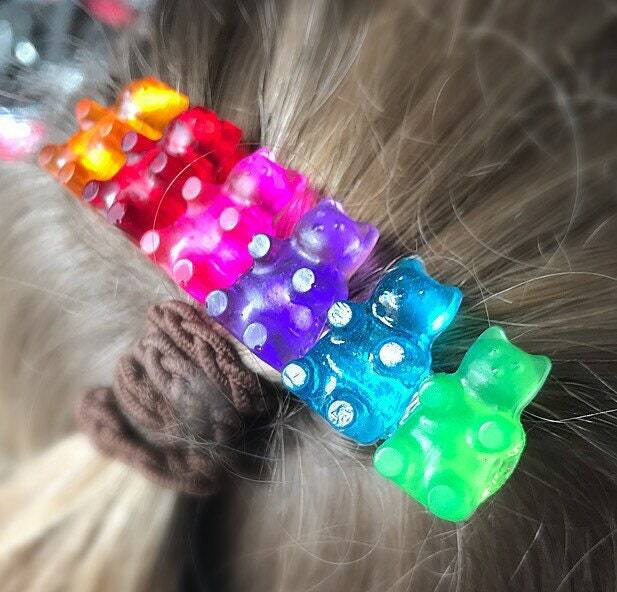 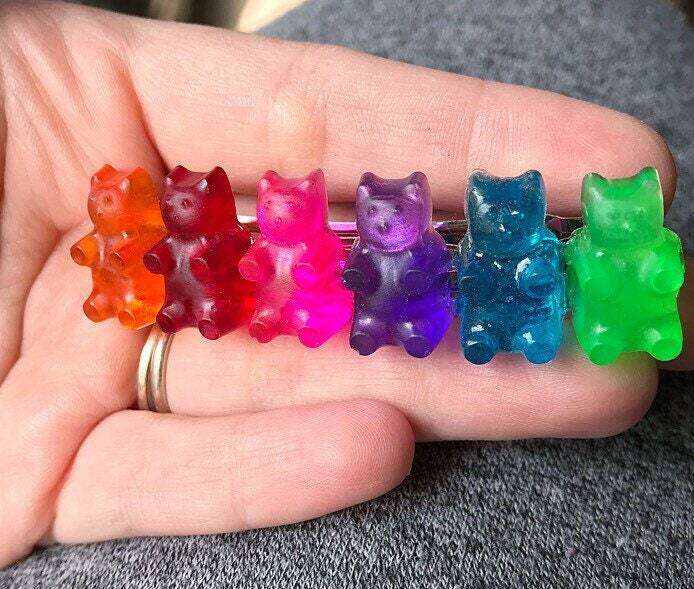 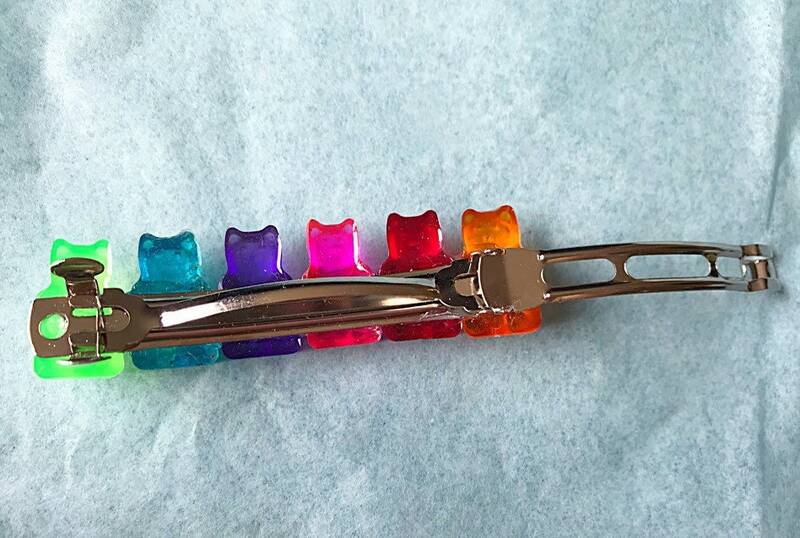 There are 6 different colored bears attached to a french barrette. 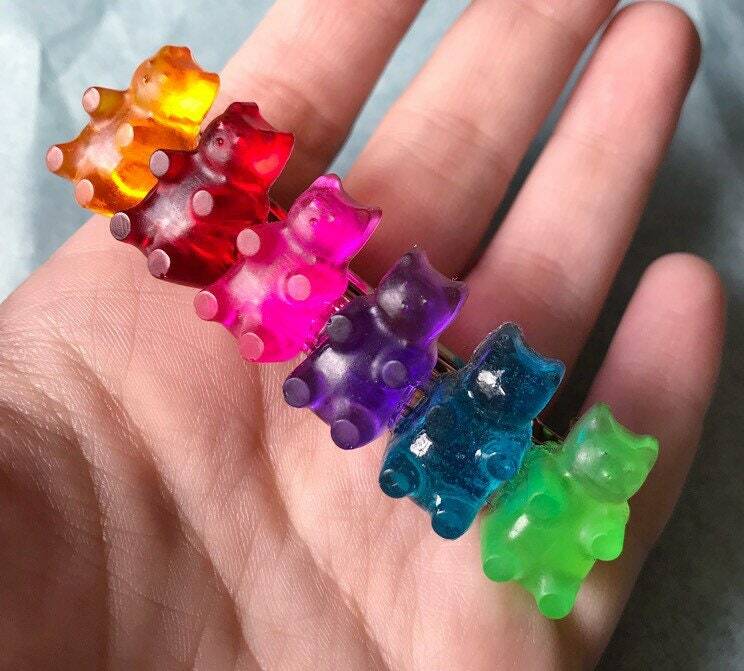 Each bear is also handmade using epoxy resin. 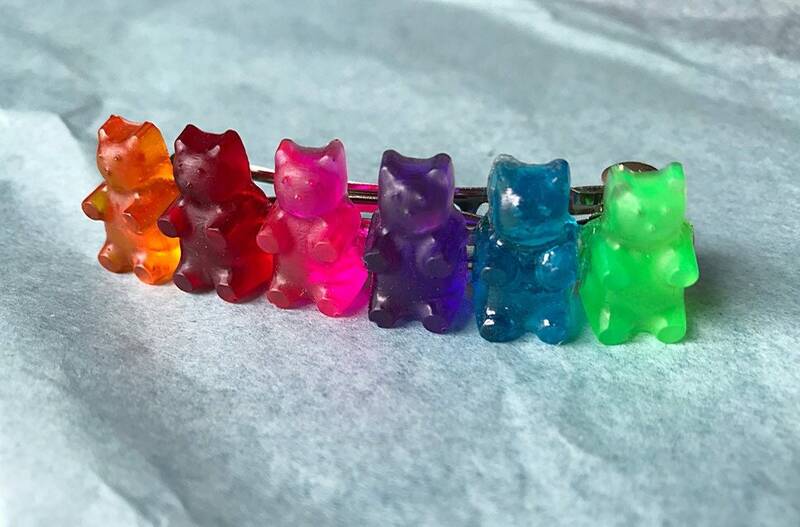 I do offer bobby pin gummy bears & many other gummy bear items in my shop.